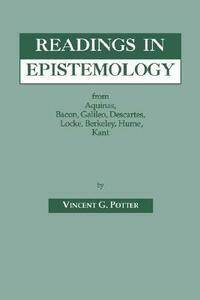 Readings in Epistemology: From Aquinas, Bacon, Galileo, Descartes, Locke, Hume, Kant. A companion volume to On Understanding Understanding, this second edition incorporates corrections to the previous text and includes new readings. The works collected in this volume are mainly from the British Empiricists. The breadth of the selection is not so diverse that the pieces cannot be readily understood by a newcomer to Epistemology, they have a logical progression of development (from Locke to Berkeley to Hume), and all of the philosophers whose work is represented have had great influence on contemporary Anglo-American philosophy. In the Introduction, Potter sets the selections in their historical context and urges the readers to form their own viewpoint in terms of the period's contribution to the advancement of culture, politics, and society. 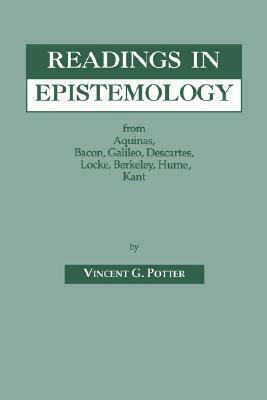 He gives a concise summary of the Enlightenment period, demonstrating how and why Rationalism and Empiricism came about, and challenges the reader not to simply note the points of disparity between the two schools, but to notice the similarities of their common assumptions - both substantive and methodological. Readings in Epistemology, Second Edition is an excellent classroom tool. A biographical note on the philosopher, and list of suggested books for further study, heads each of the readings. Study Questions which stimulate discussion, are at the end of each piece.